BioShock 2 was one of the stingy releases which never left Games for Windows Live, and since Microsoft’s digital PC storefront/service is dead, 2K Games has moved Irrational Games’ sequel to Steam. Owners of BioShock 2 from its Windows days will receive DLC pack Minerva’s Den and multiplayer packs at no charge. This covers GFWL digital purchases, or boxed copies and other distributors. 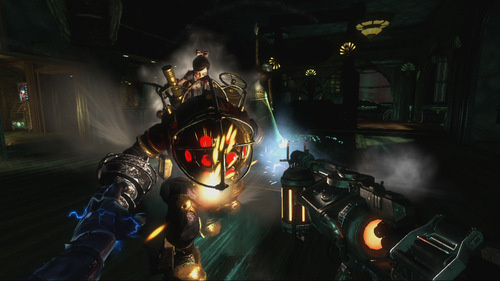 New players to BioShock 2 on Steam will still have to pay for the additional DLC. In the move to Steam, players will need to re-earn achievements, but gain official controller support, various Steam features, and the excising of SecureROM DRM. It’s a winning scenario for those who chose to dig into Microsoft’s PC service.